There are two WHO Baby Friendly Initiatives – one for maternity hospitals and one for neonatal units. When it comes to the role of fathers, they are very different. One strongly supports the infant-father bond, the other does not mention fathers at all. The contradiction reflects a fundamental inconsistency that runs through the entire maternal health system. Is the father a satellite to the single mother-infant dyad along with other family members, friends and professionals, or is the father connected in a special way to the infant, as a parent? This is not just a academic issue: there is persuasive evidence of the health and child development benefits of supporting fatherhood particularly. Furthermore, the primary objection of hands-on fathers to the child and family health and social system is to be treated as a “helper” rather than as a parent. This BFHI relates to all maternity services. It does not mention fathers, referring only to mothers and “families”. The reference to “families” is an innovation in the 2018 revision of the BFHI standards, having not been mentioned before. The BFHI states that families should be at the “centre of care”. They must receive quality, up-to-date and unbiased information about infant feeding, skin-to-skin contact, initiation of breastfeeding, supplementation protocols and rooming-in. This allows informed decisions about feeding and protects families from commercial interests that discourage breastfeeding. Antenatal breastfeeding counselling must be tailored to the individual needs of the woman and her family, addressing any concerns and questions they have. This counselling needs to be sensitively given and consider the social and cultural context of each family. If mothers are not fully awake and responsive, a health professional, doula, friend or family member should accompany the mother, to prevent the baby from being hurt accidentally. In this model, the father is just one supporter among others, along with professionals, friends and other family members. When a baby is sick, the position is very different. Now the father is “the mother’s support” and one of the infant’s “primary caregivers”. 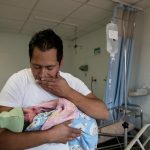 The standard goes on: “The breastfeeding policy states that fathers are welcomed in the neonatal ward 24/7, without restrictions.” This must be confirmed by observation. The explanatory text of the Neo-BFHI goes on to describe the position of the father in more detail. The Neo-BFHI still falls a little short of the most recent evidence. 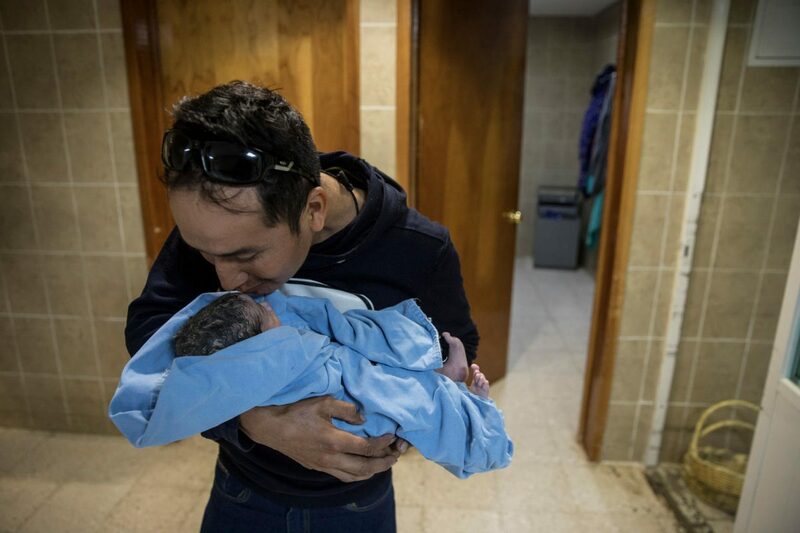 It still sees father-infant skin-to-skin not as an important element alongside mother-infant skin-to-skin, but rather only as a substitute for mother-infant skin-to-skin contact if she is unable to provide it. The guideline also refers to the increasingly challenged term “kangaroo mother care”, instead of the simpler “kangaroo care”. Child development psychologists have proposed the concept of a “community of care” around a baby, which involves multiple infant-adult attachments, all able to start during the first year, and all different from each other. These attachments can be with family members, friends and even professional child carers. A child will normally have 2 or 3 such attachments. Every baby needs a community of care; no mother can raise a child without one. Fathers are part of the community of care in most families but not all, depending on individual and cultural factors. Every father has the potential to attach to an infant. This is part of human biology, neurobiology and psychology and it benefits child health development in a variety of ways. Where individual circumstances or cultures restrict infant-father attachment, it is a problem for the child that must be addressed. But there are circumstances where the community of care cannot include the father – he may be dead, or away working/fighting, or he may be violent/abusive. Supporting the community of care around each baby and engaging fathers specifically are distinct activities. Both should should be explicit part of strategies to promote breastfeeding and support neonatal babies, because both do so much to achieve the desired outcomes. 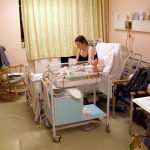 From this perspective, it would be possible to talk specifically about fathers in the general maternity service BFHI and to talk about families without fathers in the Neo-BFHI.